Today I'm going to share three cards and an opportunity to grab a bargain on some Distress Oxide inks. I don't think I'm ever going to get sick of the September Cropaholic Kit! Honestly, it's my favourite thing yet. I've made three cards to share with you today, using various parts of the kit. Firstly I used the clear plastic packaging that came with the kit to do some ink smooshing onto watercolour paper. I used Distress Inks in Peacock Feathers, Abandoned Coral, and Wild Honey. Then I used the stamp that came with the kit (pictured below) and laid it onto the blue and a little onto the coral ink and left it there until the ink dried. You can see that the ink is paler where it had contact with the stamp. Then over to the left on the coral, you can see a darker pattern where I inked up the stamp and stamped on top of the ink. I finished the card by mounting the panel onto cardstock, and using some heart wood veneers and the word today from the cutout sheet. 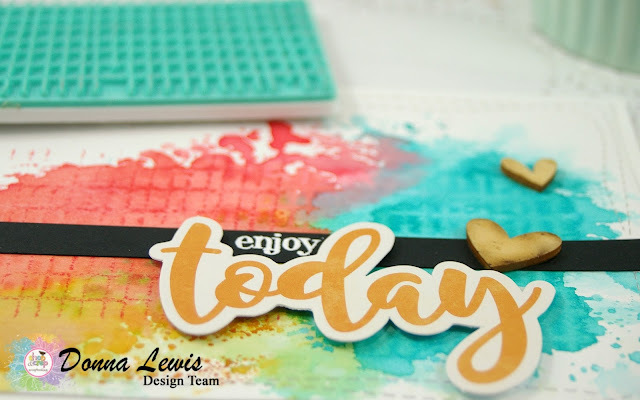 In order to have it make sense as a card sentiment, I rummaged through my stamps until I found one with the word "enjoy" on it, and white heat embossed it to complete the card. For this second card I got out my Distress Oxide inks. This is where the bargain comes in. The lovely Kylie at Shop and Crop is doing a deal on the entire first set of inks for $100. If you use the code DL5, you can get a further $5 off, so that the inks will be $95, instead of the RRP of $114 for the set. Bargain! I've ordered a set! the same deal is available on Set 2. 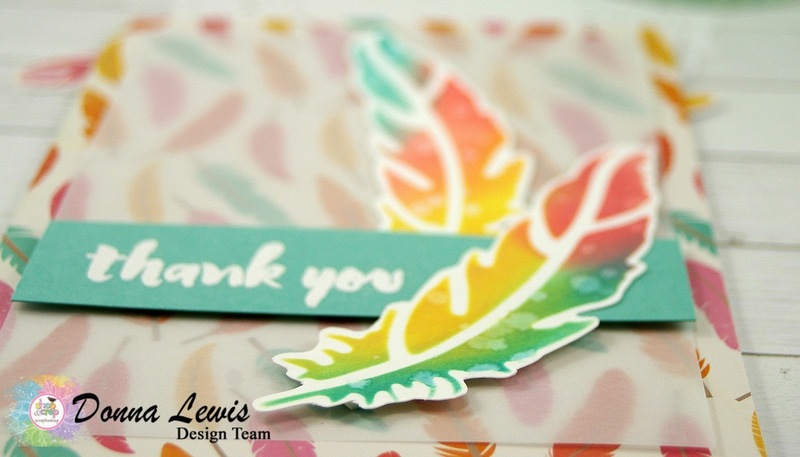 I used an old feather stencil that a friend gave me to make the feathers for this card. I used an ink blending tool and the distress inks glide on like butter. Unlike regular dye inks, they are very forgiving, and don't leave dark splodges if you accidentally press too hard. (which I do often). I used the exact same colours as the first card, but this time in the Oxide inks. I then carefully fussy the feathers, leaving a small white border. 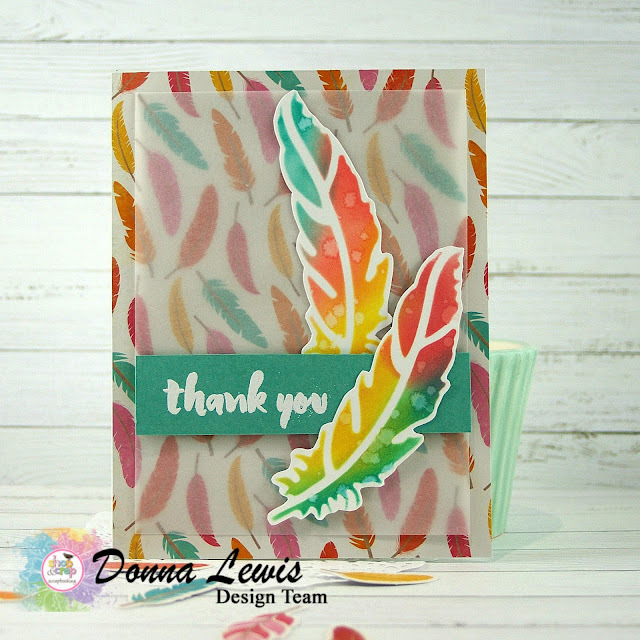 The Jillibean Soup paper with the feathers was a perfect match, but needed toning down a little so that the card wasn't too busy. 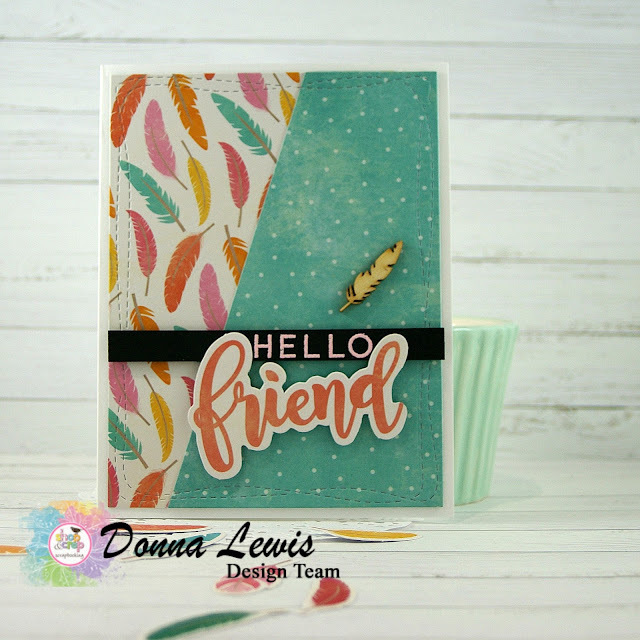 I'm really pleased with the effect of the different sizes of feathers, but there are many images in the kit that would look great on this card, like the cute bicycles. Here's a close up look at the layers of the card. Finally, I have a very simple card that highlight the papers in the kit. 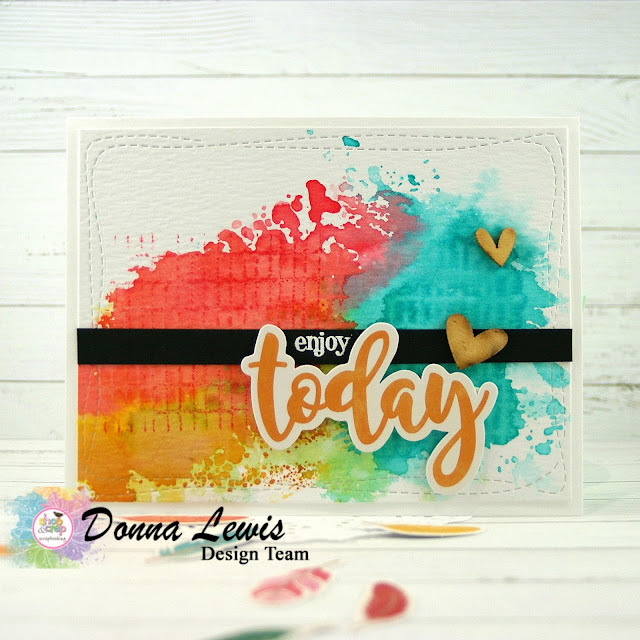 There were so many combinations of papers I could have chosen to make this card, and all of the Shop and Crop Kits (except the Mixed Media Kit) have coordinating papers, so this is a card design you could use for any kit from any month! I hope this has inspired you to stretch the supplies in your kit to get the most out of it, and that even if you're not a card maker, that you've enjoyed looking at the designs. If you'd like to see more, feel free to visit me on Instagram and see what else I've been up to! Don't forget to use the code DL5 if you're planning to get the Oxides, so you can get the cheaper price. Until next time, may you enjoy every day, and get a chance to be creative too!